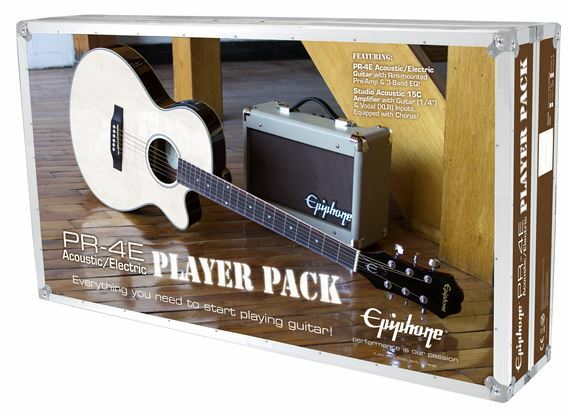 Shop Epiphone PR4E Player Cutaway Acoustic Electric Package from AMS with 0% Interest Payment Plans and Free Shipping. The Epiphone PR4E Player Acoustic Electric Package - their first-ever acoustic/electric player package - features everything you need to get you playing acoustic guitar LIVE! 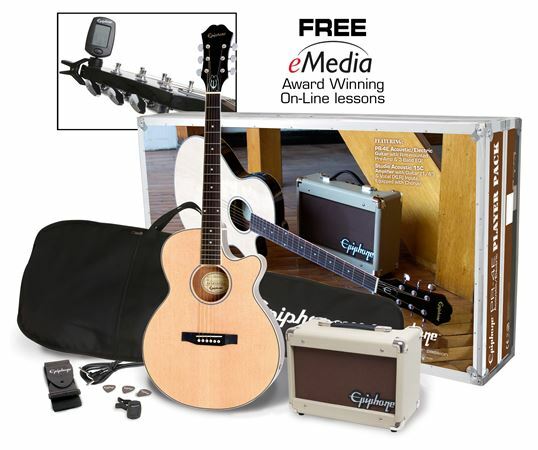 The Epiphone PR-4E Acoustic/Electric Player Pack also includes an Epiphone Studio Acoustic-15C amp along with a chromatic tuner, strap, cable, picks, gigbag, and online lessons from eMedia. And at this price, you won't find a better, more affordable acoustic/electric package anywhere! 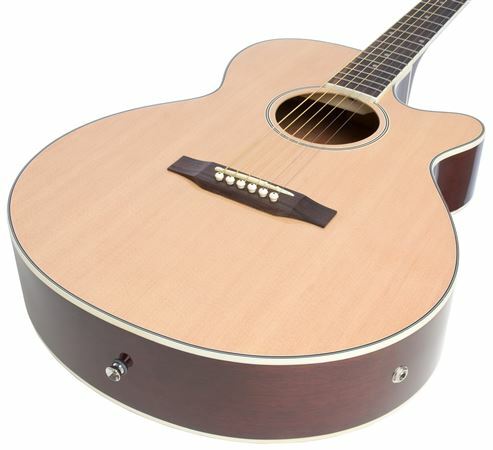 The PR-4E features a select Spruce top. 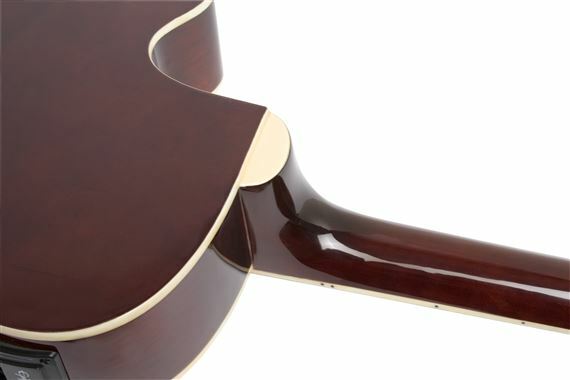 The ‘top’ of any acoustic guitar is the source of its “voice” and acts as a kind of soundboard. 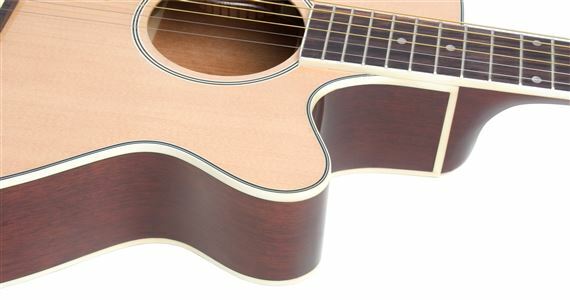 Spruce is one of the preferred tonewoods when making acoustic guitars for its ability to hold up to hours of playing time in all kinds of venues and still project a rich tone. The PR-4E’s select Spruce top is supported by vintage style X-bracing—just like vintage Epiphone Masterbilts--which not only supports the top but also gives the PR-4E considerable volume and balance for its size. It’s a perfect guitar for singer-songwriters too, and thanks to the quality construction and combination of Spruce and Mahogany, the PR-4E doesn’t suffer from sounding “boomy” or “scooped” like other beginner’s guitars. The Venetian cutaway allows easy reach to the upper frets and gives the PR-4E a distinctive profile that’s both modern and classic. The PR-4E’s Mahogany body features 5-layer white and black binding and the Mahogany neck and single layer white binding along the neck. 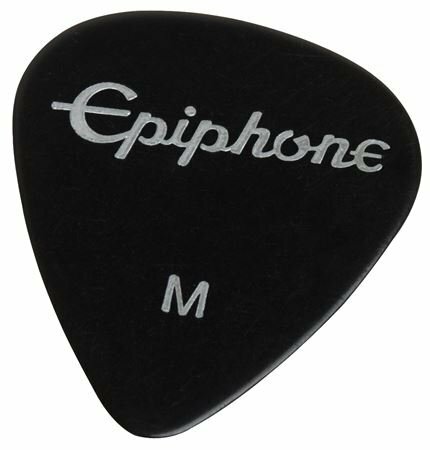 The Epiphone trademark Sloped Dovewing headstock features premium covered 14:1 ratio machine heads (tuners) along with a classic 60s era Epiphone logo. 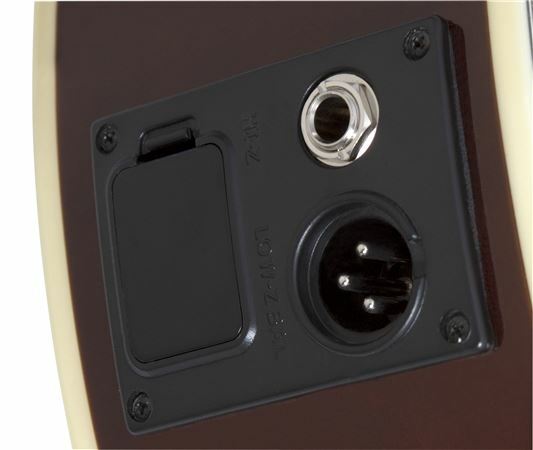 The PR-4E’s piezo pickup system is located under the saddle. 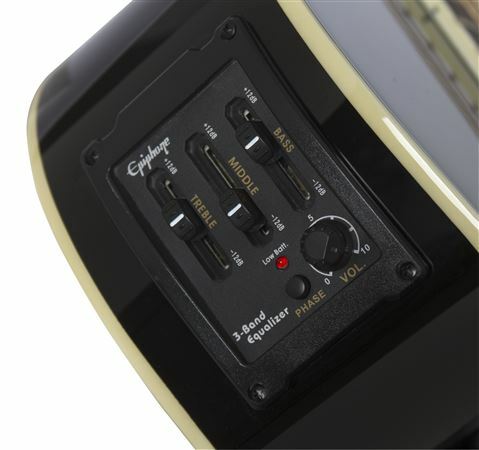 The guitar’s built-in electronics are mounted on the upper bout of the guitar and feature easy-to-use boost and cut controls for Treble, Middle, and Bass. There is also a Volume control along with a phase switch and a low battery light indicator. 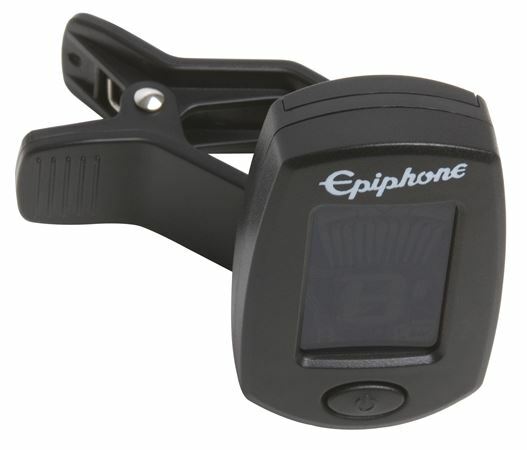 A 9-volt battery compartment is located next to the EQ controls allowing for quick changes during a show. 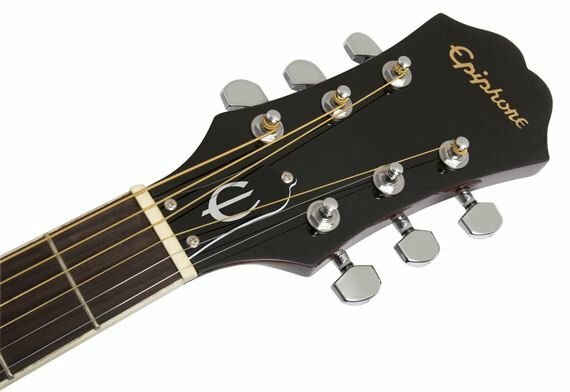 Though the Epiphone Studio Acoustic-15C is a perfect match to amplify the PR-4E’s rich tone, the on-board EQ section allows a player to easily and quickly make fine adjustments for optimum sound. 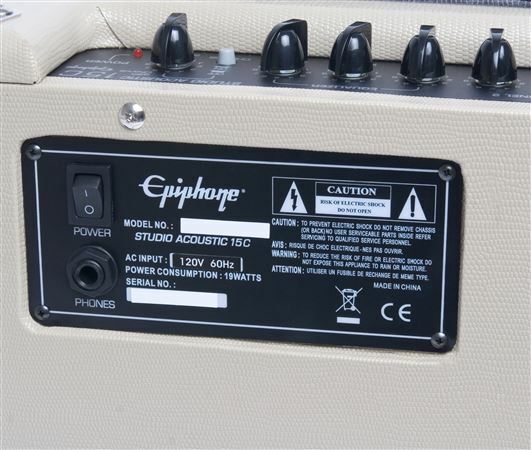 The Epiphone Studio Acoustic-15C is a power-perfect 15-watt amp with a specially designed 6.5” speaker in a closed-back cabinet. 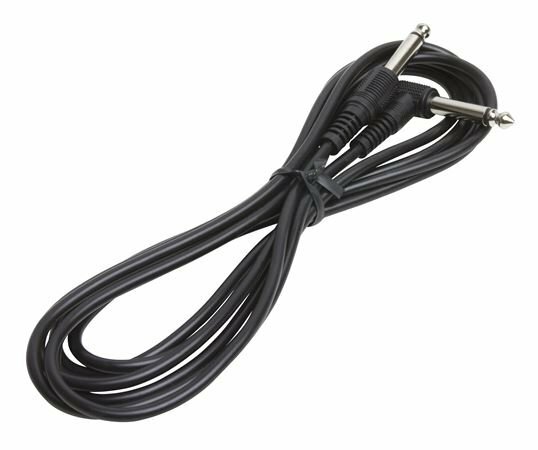 The amp includes 2 inputs—both a 1/4” instrument cable input (included) and an XLR (mic) cable input with individual volume controls for each channel as well as a 1/4" headphone input--features rarely found on a small amplifiers. With the PR-4E Performance Pack, you’re ready to play anywhere! And, the Epiphone Studio Acoustic 15C also includes a handy 3-band EQ, a Rocker switch, and switchable chorus effect with chorus speed. Sound engineers frequently use a chorus effect to emphasize an acoustic guitar’s natural tone when mixing it with other electric instruments through a sound system. The Epiphone Studio Acoustic-15C’s multiple chorus options allow you to easily “dial in” your PR-4E’s tone on any size stage. 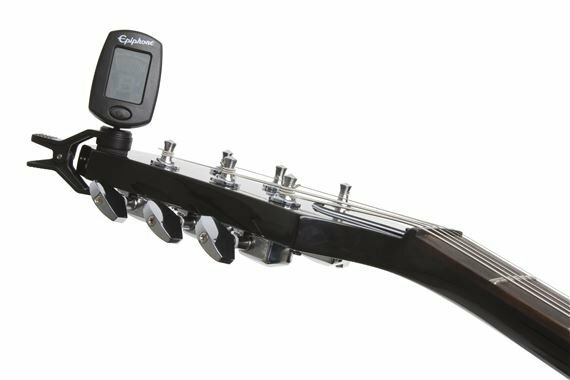 The Epiphone PR-4E Acoustic/Electric Player Pack also includes an Epiphone gig bag, chromatic tuner, strap, picks, and a 1/4" guitar cable. 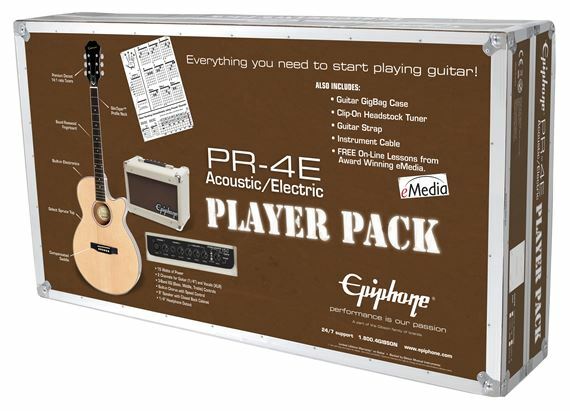 The PR-4E Acoustic/Electric Player Pack comes with downloadable online lessons from eMedia so beginners can dive in right and start playing! For 140 years, Epiphone has been a leader in creating innovative guitar designs and crafting fine instruments that anyone can afford. So many great songs start out being played on an acoustic guitar. 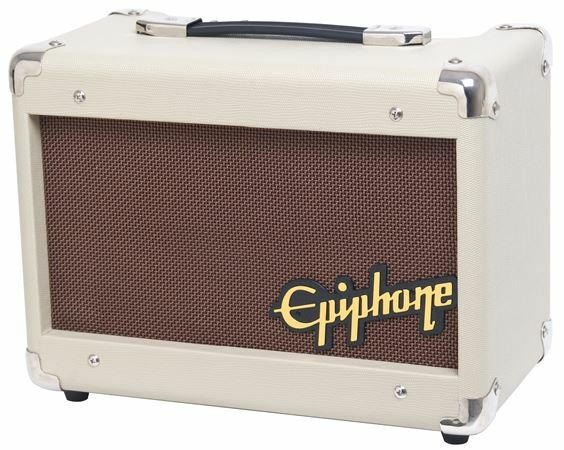 And now Epiphone has made it easy for you. Everything you need to begin playing guitar is right here! Become part of Epiphone’s long history of teaching the world to play guitar with the Epiphone PR-4E Acoustic/Electric Player Pack. Trying to get back into owning a guitar and not breaking the bank. This was a slam dunk. Powerful little amp to go with it. Package comes with everything you need from beginner to intermediate. I’m not going to say, but I feel some advanced players would really appreciate the construction and sound. This was my second or third purchase, and each time i received my purchases fast and well packaged.The easy pay plans help with my budget and the prices are competitive with other companies. The PR4E packages was a lot better than i expected.Tuned it up and started playing right out of the box,same as my last Epiphone guitar the plain top Les Paul blue.I'm a happy camper. I'm going to be using this to start learning to play, so my experience with guitars is minimal. Out of the box it took a lot of tuning to get it to sound right, a couple full turns on the knobs for each string. That said, once tuned it does sound pretty good. Is it the best sound? No. But as I'm just starting, I wasn't looking for the best (that will come later). The included tuner was obviously very helpful. Came with a couple picks so have one as backup. 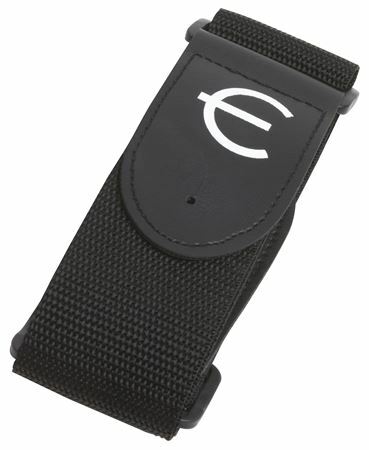 The strap is pretty basic, pretty much like a strap from a duffle bag. Not going to check out the "gig bag" as it's just a bag and I have no real need for it. Can't say much about the amp as I won't be using that until later on down the line once I can play. All in all, if you are looking for a decent guitar for just starting out then go with this and get everything you need at a low price and save up for a better guitar for when you've learnt to play. The guitar is beautiful and plays nicely. Was missing the strap but AMS shipped one out within a few days. The amp has power but no sound; still looking into that. I gifted this set to my college aged son, he wanted to teach himself how to play the guitar and if anyone can, he can! It's really therapeutic for him! He's happy, so I'm happy! This is a phenomenal product. The product came in a timely manner, box undamaged and in pristine condition. It plays like a dream. Perfect for a beginner. American musical exceeded my expectations with product and service. I will be a return customer, for sure. A great guitar straight out of the box, little to no adjustments were needed. Comes with a great sounding amp and with the other smaller items like a tuner, strap, cable and picks.